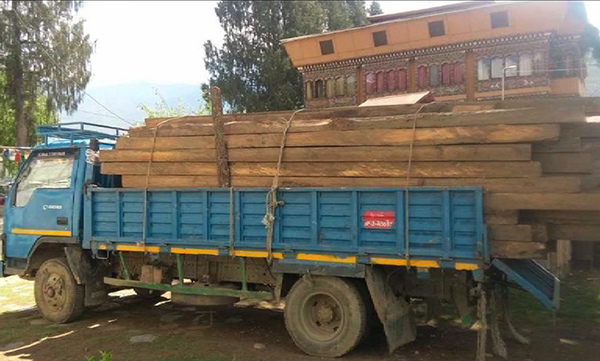 Paro Forest Division’s patrolling team has seized a DCM truck carrying 202 pieces of illegal timber in Tsento Gewog on the night of April 24. The owner, from Soe Gewog in Thimphu, however reported to the division two days later on April 26, agreeing to pay a fine of almost Nu 122,000. According to the Chief Forestry Officer, the case will be forwarded to court, if he fails to pay the fine by Monday. The man has already used the permit before to extract rural timber.